Finished with two more sets of galaxy images! I’m happy to report that in the last several days, we’ve simultaneously finished the initial sets of galaxies from both the DECaLS survey and the second subset of simulated galaxies from Illustris. This has meant the completion (since last September) of more than 50,000 galaxies seen 40 times apiece, for more than 2 MILLION classifications. So far, your work is helping reveal new insights based on this deeper data. 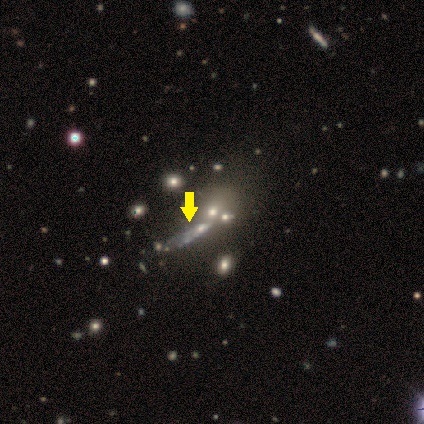 One very preliminary result: as we’d predicted, the better conditions in DECaLS (bigger camera, better night sky seeing, larger telescope mirror) are revealing galaxies that were classified in SDSS as smooth, but in fact with faint or extended disks and features that are now visible. This is really exciting, and is helping to modify our ideas of the assembly histories of these galaxies. The Galaxy Zoo site is still active – we’ve reactivated a few of the DECaLS DR1 galaxies to slightly improve our statistics, but shortly we’re going to add new sets of (real images) to continue the next phase. I’ll post more as soon as we’ve finalized our plans. This post was written with the help of Sugata Kaviraj, senior lecturer at the University of Hertfordshire in the UK. Sugata has been a member of the GZ science team for several years and is leading our analysis of tidal debris in the DECaLS images. One of the biggest changes to the questions we’re asking for the new DECaLS images asks users to help us classify galaxies that are either merging and/or exhibiting “tidal debris”. While mergers have been part of Galaxy Zoo since our very first classifications, tidal debris is looking for something more specific, which the new DECaLS data is particularly suited for. In astronomy, “tides” are a type of force exerted on an object by the effect of gravity. Specifically, it refers to the gravitational force exerted by one body on another – since the force exerted by gravity depends on the distance to the object (specifically, it’s proportional to the inverse square of the distance), the nearer side of the object will feel a stronger force than the farther side of the object. On Earth, the differential force caused (mostly) by the gravity of our Moon acts on the liquid in the oceans, causing the rise and fall in sea levels each day. When the object is a solid body (like a planet or moon), tidal forces can strain and compress the body, resulting in internal heat and sometimes driving geological activity. A galaxy isn’t a solid body, but composed of individual stars/gas clouds/dark matter particles bound within its own gravitational field. When a galaxy is subjected to tidal forces, it pulls the galaxy apart, causing irregularities in shape that can take many forms depending on the magnitude and direction of the forces involved. One of the main reasons we want to identify tidal features specifically is to make better measurements of the merger history of galaxies. A complication is that the event of merging with a galaxy isn’t an instantaneous event – depending on the relative masses, velocities, and orientations of the merging galaxies, tidal forces strip out long tails of stars and gas from the galactic centers. Ultimately, the nuclei of the two galaxies will fully merge; if that happened sufficiently far in the past for the orbits of stars to relax, then it’s difficult for observers to determine if an elliptical galaxy today was the result of a merger. Tidal debris features, however, are longer-lived signals of a merger sometime in a galaxy’s past. If we only asked about mergers, we’d be restricting the sample to galaxies that we’re lucky enough to observe “right in the act” of merging. By identifying the tidal debris as well, we can make a more complete census of galaxies that had a merger at some point in their past. One project that this is critical for is looking at the history of galaxy populations, and trying to figure out whether star formation and/or active black holes might be powered by merger events. Since tidal debris features can be very faint (ie, having low surface brightnesses), the deeper DECaLS images that we’re currently classifying are much better at picking out these features than SDSS. That’s the main reason we’re focusing on trying to detect them in the current set of images. Tidal debris can come in many different forms, including extended light, faint shells, dust lanes, or satellites in the process of being assimilated to clearly distorted galaxies which have presumably have had a recent interaction. The features can definitely be faint, but we’d like to ask that when you reach this question, please take a careful second look at the area around the main galaxy and see if you can spot anything. Examples are also available in the help text, and we hope that you’ll discuss features you’re not certain about with the moderators, scientists, and other volunteers in Talk. Example 1. 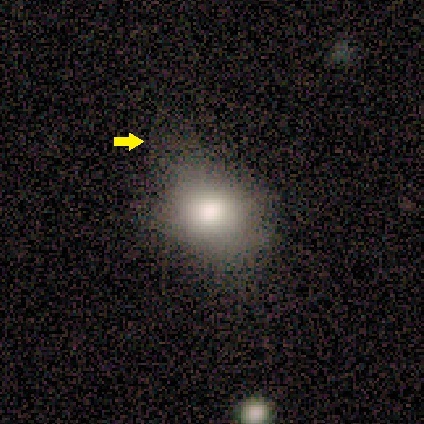 Faint tidal debris extension is visible to the upper left of the main galaxy. Image courtesy DECaLS/Galaxy Zoo. Example 2. Faint tidal debris is visible around the main galaxy in a shell-like shape (see arrows). Image courtesy DECaLS/Galaxy Zoo. Example 3. 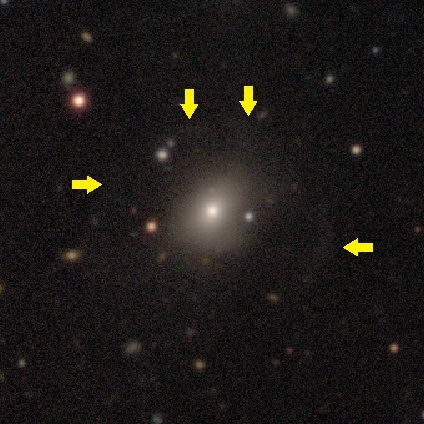 Faint tidal debris extension is visible to the left of the main galaxy (within red ellipse). Image courtesy DECaLS/Galaxy Zoo. Example 4. A small satellite galaxy is merging into the larger one at the center, being ripped apart and causing tidal debris. Image courtesy DECaLS/Galaxy Zoo. Example 5. 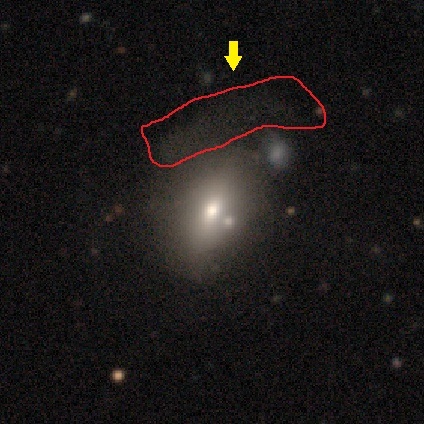 Tidal debris (within the red outline) extending to the top and left of the main galaxy. Image courtesy DECaLS/Galaxy Zoo. Example 6. Faint tidal debris in a “shell” structure, extending in several directions from the main galaxy (comparable to Example 3). Image courtesy DECaLS/Galaxy Zoo. Please let us know, here or on Talk, what questions you have. Thanks for your help in tackling a new and interesting scientific problem. 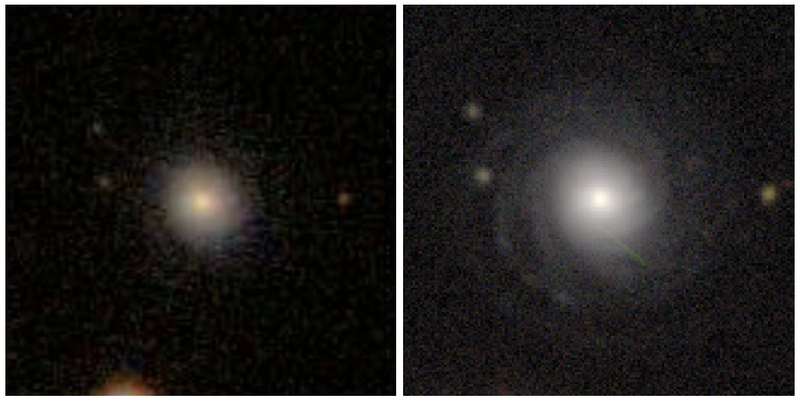 We’re extremely excited to announce the launch of two new image sets today on Galaxy Zoo. Working with some new scientific collaborators over the past few months, we’ve been able to access data from two new sources. This blogpost will go into more details on where the images come from, what you might expect to see, and what scientific questions your classifications will help us answer. Part 2 of this post will discuss the other set of new images from the Illustris simulation. The Dark Energy Camera Legacy Survey (DECaLS) is a public optical imaging project that follows up on the enormous, groundbreaking work done by the various versions of the SDSS surveys over the past decade. The aim of DECaLS is to use larger telescopes to get deeper images with significantly better data quality than SDSS, although over a somewhat smaller area. The science goals include studies of how both baryons (stars, gas, dust) and dark matter are distributed in galaxies, and particularly in measuring how those ratios change as a galaxy evolves. By adding morphology from Galaxy Zoo, our joint science teams will explore topics including disk structure in lower mass galaxies, better constraints on the rate at which galaxies merge, and gather more data on how the morphology relates to galaxy color and environment. 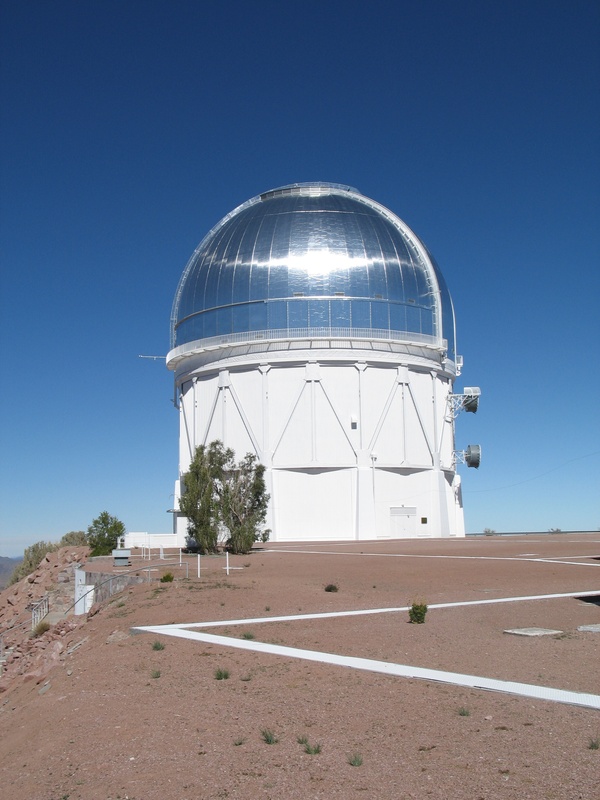 DECaLS observations use the Blanco telescope, which is located at CTIO in northern Chile at an altitude of 2200m (7200 ft). The telescope has a 4-m aperture mirror, giving it more than three times the collecting area of the SDSS telescope. The camera used for the survey is named DECam, a large-area and extremely sensitive instrument developed for a separate program called the Dark Energy Survey. The camera has 570 megapixels and covers a 2.2 degree field of view – more than 20 times the apparent size of the full moon! The combination of the exquisite dark-sky observing site, a sensitive wide-field camera, and larger telescope all combine to generate the new images, which will eventually include more than 140 million unique sources on the sky when DECaLS is finished. The Victor M. Blanco 4m telescope, located at CTIO in northern Chile, is carrying out the observations for the DECaLS survey. Image courtesy NOAO. The DECaLS images in Galaxy Zoo are a smaller group taken from a catalog called the NASA-Sloan Atlas. We’re focusing on somewhat larger and brighter galaxies from the catalog. 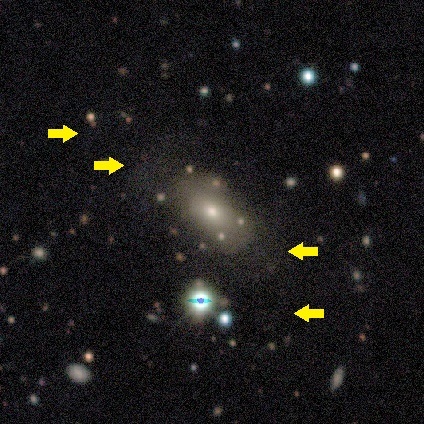 The reason is that although many of these galaxies have been classified in GZ already via their Sloan images, we’re particularly interested in measuring details like tidal tails from mergers, seeing fainter spiral structures, and separating galaxies that couldn’t be individually resolved in the Sloan data. Here’s a great example of a single galaxy in both SDSS and DECaLS – check out how much clearer the spiral arms are in the new images! 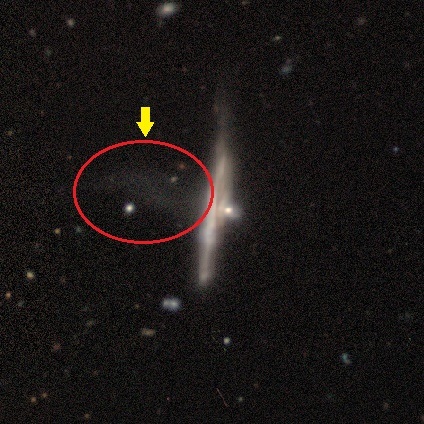 Left: an SDSS image of the galaxy J225336.34+000347.4. Right: a DECaLS image of the same galaxy. Almost all of the morphology and classification tasks are the same as they were for the Sloan images, so it should be familiar to most of our users. If you have questions or want to discuss anything you see in the new images, please join the discussion with scientists and volunteers on Talk. As always, thanks for your help!